^ "The Crimean Tatars and their Russian-Captive Slaves Archived 2011-05-01 at the Wayback Machine." (PDF). Eizo Matsuki, Mediterranean Studies Group at Hitotsubashi University. ^ a b Presentation of Katip Çelebi, Kitâb-i Cihân-nümâ li-Kâtib Çelebi, at the Utrecht University Library Archived May 5, 2009, at the Wayback Machine. ^ a b c d e PTT Chronology Archived September 13, 2008, at the Wayback Machine. 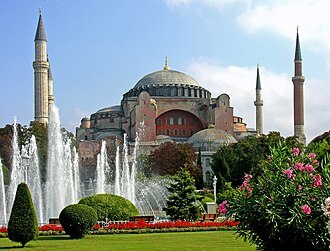 ^ Istanbul City Guide: Beylerbeyi Palace Archived October 10, 2007, at the Wayback Machine. ^ a b c Türk Telekom: History Archived 2007-09-28 at the Wayback Machine. ^ "Hijra and Forced Migration from Nineteenth-Century Russia to the Ottoman Empire", by Bryan Glynn Williams, Cahiers du Monde russe, 41/1, 2000, pp. 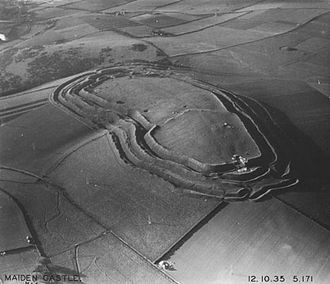 79–108. Archived June 11, 2007, at the Wayback Machine. 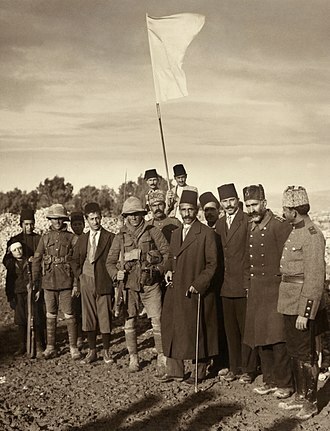 The partition of the Ottoman Empire was a political event that occurred after World War I and the occupation of Constantinople by British and Italian troops in November 1918. The partitioning was planned in several made by the Allies early in the course of World War I. As world war loomed, the Ottoman Empire sought protection but was rejected by Britain and Russia, the huge conglomeration of territories and peoples that formerly comprised the Ottoman Empire was divided into several new states. 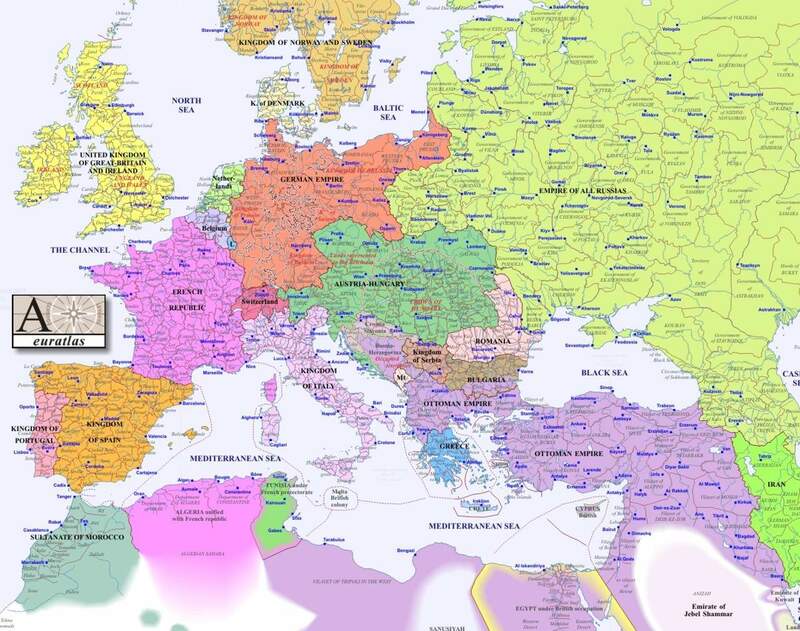 The Ottoman Empire had been the leading Islamic state in geopolitical and ideological terms. The partitioning of the Ottoman Empire led to the rise in the Middle East of Western powers such as Britain and France and brought the creation of the modern Arab world and the Republic of Turkey. Resistance to the influence of these came from the Turkish national movement. The Ottoman Empires possessions in the Arabian Peninsula became the Kingdom of Hejaz, which was annexed by the Sultanate of Nejd, and the Mutawakkilite Kingdom of Yemen. The Empires possessions on the shores of the Persian Gulf were variously annexed by Saudi Arabia, or remained British protectorates. 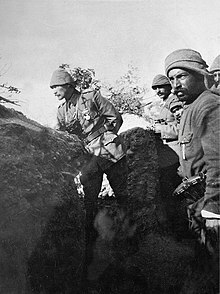 After the Ottoman government collapsed completely it signed the Treaty of Sèvres in 1920, the Turkish War of Independence forced the European powers to return to the negotiating table before the treaty could be ratified. The Europeans and the Grand National Assembly of Turkey signed and ratified the new Treaty of Lausanne in 1923, superseding the Treaty of Sèvres and solidifying most of the territorial issues. One unresolved issue, the dispute between the Kingdom of Iraq and the Republic of Turkey over the province of Mosul was negotiated under the League of Nations in 1926. The British and French partitioned the eastern part of the Middle East, called Greater Syria, other secret agreements were concluded with Italy and Russia. The Balfour Declaration encouraged the international Zionist movement to push for a Jewish homeland in the Palestine region, while a part of the Triple Entente, Russia had wartime agreements preventing it from participating in the partitioning of the Ottoman Empire after the Russian Revolution. 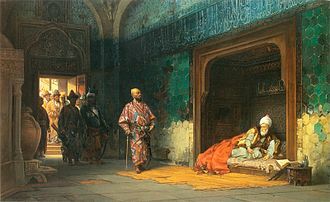 The Ottoman Decline Thesis or Ottoman Decline Paradigm refers to a now-obsolete historical narrative which had once been used to explain the history of the Ottoman Empire. This thesis was used throughout most of the century as the basis of both Western and Republican Turkish understanding of Ottoman history. However, by 1978, historians had begun to reexamine the fundamental assumptions of the Decline Thesis, the Decline Thesis has been criticized as teleological, Orientalist and one-dimensional, and described as a concept which has no place in historical analysis. Scholars have thus learned better than to discuss, the idea of decline first emerged among the Ottomans themselves. 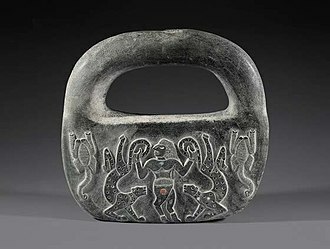 Beginning much earlier, but greatly expanding during the century, was the literary genre of nasihatname. This genre had a history, appearing in earlier Muslim empires such as those of the Seljuks. 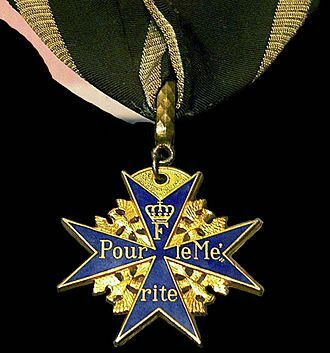 This was often expressed through the concept of the Circle of Justice, in this conception, the provision of justice by the ruler to his subjects would allow those subjects to prosper, strengthening the ruler in turn. Should this break down, society would cease to properly function and these writers viewed the changes which the empire had undergone as an inherently negative corruption of an idealized Suleimanic past. However, it is now recognized that rather than simply describing objective reality, for instance, Mustafa Âlis belief that the empire was declining was in large part motivated by frustration at his own failure to achieve promotions and court patronage. The primary goal of the writers, may have simply been to protect their own personal or class status in a rapidly changing world. Internal decline was thought of as an appropriate means of explaining the Ottomans external military defeats. The trope of a declining Ottoman Empire was thus used as a foil for Western Civilization, such views were perpetuated during the mid-twentieth century by the works of H. A. R. Gibb and Harold Bowen, and particularly Bernard Lewis and it was from this point that skepticism of the Decline Thesis began to grow. The most prominent writer on Ottoman Decline is the historian Bernard Lewis and he laid out his views in the 1958 article, Some Reflections on the Decline of the Ottoman Empire, which developed into the mainstream opinion of Orientalist scholars of the mid-twentieth century. 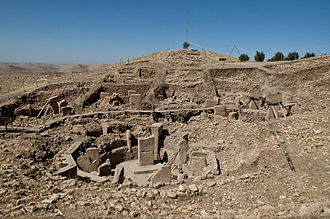 Arzawa in the second half of the 2nd millennium BC was the name of a region and a political entity in Western Anatolia. 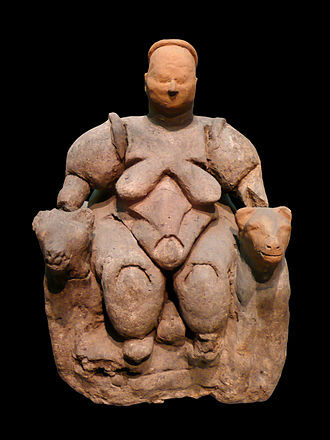 The core of Arzawa is believed to have located along the Kestros River, with its capital at Apasa. It was the state of the Assuwa league, which included parts of western Anatolia. 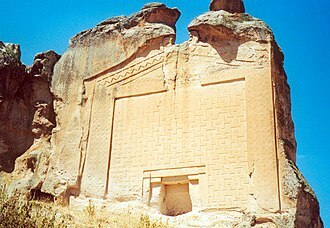 Arzawa was the neighbour and rival of the Middle and New Hittite Kingdoms. On the other hand, it was in contact with the Ahhiyawa of the Hittite texts. 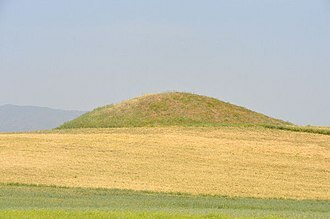 Moreover and Arzawa formed a coalition against the Hittites, according to Hittite sources, the capital of the Kingdom of Arzawa was Apasa, corresponding with Greek Ephesus. The languages spoken in Arzawa during the Bronze Age and early Iron Age cannot be determined due to the paucity of indigenous written sources. The zenith of the kingdom was during the 15th and 14th centuries BC, the Hittites were weakened, and Arzawa was an ally of Egypt. According to Hittite records, in c.1320 BC Arzawa joined an alliance together with the region of Millawanta under the king of Ahhijawa. As a response of this initiative, the Hittite kings Suppiluliuma I, the king of Arzawa managed to escape to Mycenaean controlled territory. Arzawa was split by the Hittites into vassal kingdoms and these were called, Kingdom of Mira, Seha river land. Seha river is now believed to be the present-day Gediz River, Mursilis son Muwatalli added Wilusa as a vassal. In 1998, J. David Hawkins succeeded in reading the Karabel relief inscription, located at the Karabel pass and this has provided evidence that the kingdom of Mira was actually south of the Seha river land, thus locating the latter along the Gediz River. 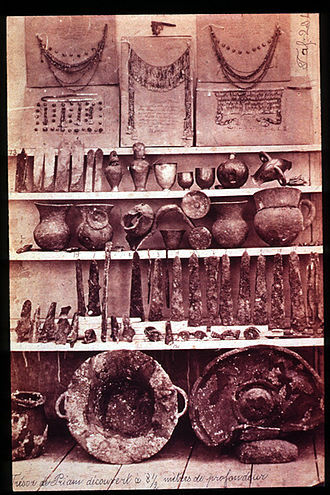 These kingdoms, usually termed simply as lands in Hittite registers, there has been evidence from a British expedition in 1954 to Beycesultan in inner western Anatolia which suggests that the local king had central heating in his home. Nothing more was heard from this invention until Gaius Sergius Orata reinvented it in Ancient Rome around 80 BC, kupanta-Kurunta c. 1440s BC Madduwatta of Zippasla c.
The territory of the Ottoman Empire greatly expanded, and led to what some historians have called the Pax Ottomana. 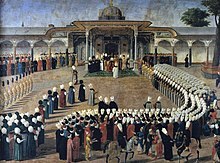 The process of centralization undergone by the prior to 1453 was brought to completion in the reign of Mehmed II. 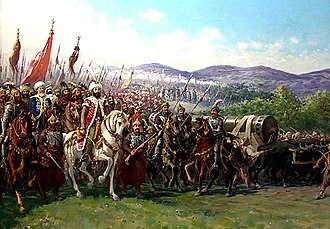 The Ottoman Empire of the Classical Age experienced dramatic territorial growth, the period opened with the conquest of Constantinople by Mehmed II in 1453. 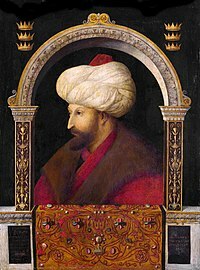 Mehmed II went on to consolidate the position in the Balkans and Anatolia, conquering Serbia in 1454-5, the Peloponnese in 1458-9, Trebizond in 1461. Many Venetian territories in Greece were conquered during the 1463-79 Ottoman-Venetian War, by 1474 the Ottomans had conquered their Anatolian rival the Karamanids, and in 1475 conquered Kaffa on the Crimean Peninsula, establishing the Crimean Khanate as a vassal state. 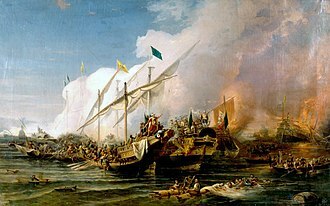 In 1480 an invasion of Otranto in Italy was launched, the reign of Bayezid II was one of consolidation after the rapid conquests of the previous era, and the empires territory was expanded only marginally. 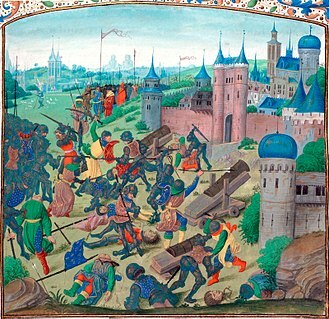 In 1484 Bayezid led a campaign against Moldavia, subjecting it to status and annexing the strategic ports of Kilia. 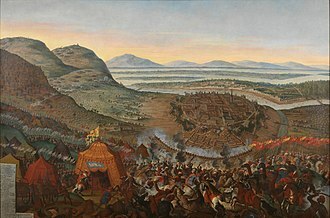 Major Venetian ports were conquered in Greece and Albania during the 1499-1503 war, most significantly Modon, however, by the end of his reign, Ottoman territory in the east was coming under threat from the newly established Safavid Empire. 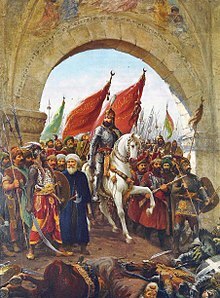 Rapid expansion resumed under Selim I, who defeated the Safavids in the Battle of Chaldiran in 1514, annexing much of eastern Anatolia, in 1516 he led a campaign against the Mamluk Sultanate, conquering first Syria and Egypt the following year. Under Selims reign the territory expanded from roughly 341,100 sq mi to 576,900 sq mi. Lacking a king, Hungary descended into war over the succession. 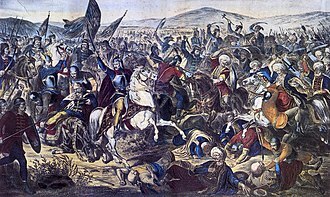 When their rivals the Habsburgs began to achieve the upper hand, Suleiman directly intervened by again conquering Buda, Suleiman led major campaigns against Safavid Iran, conquering Baghdad in 1534 and annexing Iraq. 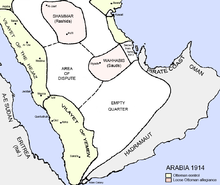 Ottoman rule was extended with the incorporation of much of North Africa, the conquest of coastal Yemen in 1538. Mitanni, called Hanigalbat in Assyrian or Naharin in Egyptian texts, was a Hurrian-speaking state in northern Syria and southeast Anatolia from ca.1500 BC–1300 BC. 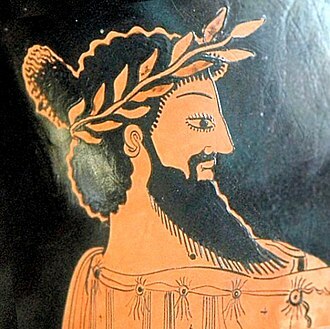 Mitanni came to be a regional power after the Hittite destruction of Amorite Babylon, at the beginning of its history, Mitannis major rival was Egypt under the Thutmosids. However, with the ascent of the Hittite empire, the Mitanni dynasty ruled over the northern Euphrates-Tigris region between c.1475 and c.1275 BC. Eventually, Mitanni succumbed to Hittite and Assyrian attacks, and was reduced to the status of a province of the Middle Assyrian Empire. While the Mitanni kings were Indo-Iranians, they used the language of the people which was at that time a non Indo-Iranian language. Their sphere of influence is shown in Hurrian place names, personal names and the spread through Syria, the Mitanni controlled trade routes down the Khabur to Mari and up the Euphrates from there to Charchamesh. For a time controlled the Assyrian territories of the upper Tigris and its headwaters at Nineveh, Assur. 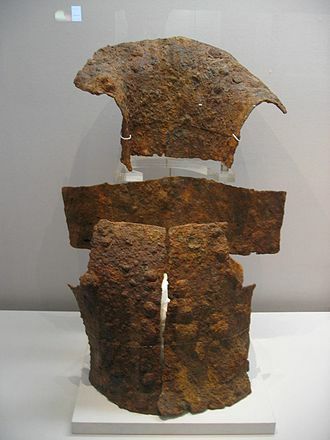 To the east, they had relations with the Kassites. The land of Mitanni in northern Syria extended from the Taurus mountains to its west and as far east as Nuzi, in the south, it extended from Aleppo across to Mari on the Euphrates in the east. Its centre was in the Khabur River valley, with two capitals and Washshukanni called Taidu and Ushshukana respectively in Assyrian sources, the whole area allows agriculture without artificial irrigation, cattle and goats were raised. It is very similar to Assyria in climate, and was settled by both indigenous Hurrian and Amoritic-speaking populations, the Mitanni kingdom was referred to as the Maryannu, Nahrin or Mitanni by the Egyptians, the Hurri by the Hittites, and the Hanigalbat by the Assyrians. The different names seem to have referred to the kingdom and were used interchangeably. 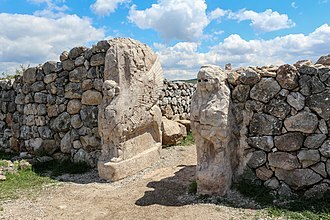 Hittite annals mention a people called Hurri, located in northeastern Syria, a Hittite fragment, probably from the time of Mursili I, mentions a King of the Hurri. The Assyro-Akkadian version of the text renders Hurri as Hanigalbat, who styles himself king of Mitanni in his Akkadian Amarna letters, refers to his kingdom as Hanigalbat. The parliament and the constitution of First Constitutional Era had been suspended by Abdul Hamid in 1878 after only two years of functioning. A series of elections during this period resulted in the ascendance of the Committee of Union. 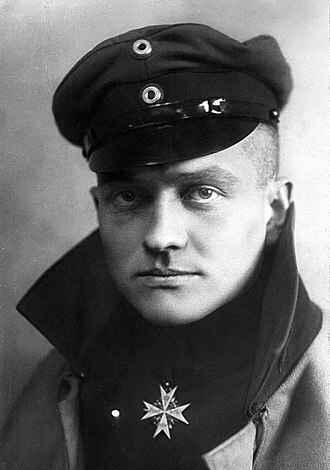 The second largest party, with which the CUP was involved in a 2-year power struggle, was the Freedom, the period survived an attempt by reactionaries to re-institute absolutism. The last meeting on 18 March 1920 produced a letter of protest to the Allies, the legal framework was that of Kanûn-ı Esâsî of the First Constitutional Era that had prevailed in 1876. As in 1876, the revived Ottoman Parliament consisted of two chambers, a Senate and a Chamber of Deputies. The Chamber of Deputies was elected by the people, in the ratio of one member for every 50,000 males of the population over the age of 25 who paid taxes. Senators, on the hand, were nominated for life by the Sultan, had to be over 40 years of age. General elections were to place every four years. The general population did not, vote directly for the Deputy that he desired to represent him in the Parliament, the administration of territories was entrusted to these delegates in the elected Administrative Councils. Thus, these Councils were elected and served not only as an electoral college, the parliament convened after the revolution only briefly and rather symbolically. The only task they performed was to call a new election, in the first Parliament, the president of the Chamber of Deputies was a Deputy from Jerusalem, Yusif Dia Pasha Al Khalidi. The new parliament comprised 142 Turks,60 Arabs,25 Albanians,23 Greeks,12 Armenians,5 Jews,4 Bulgarians,3 Serbs and 1 Vlach in the elections of 1908, the CUP could count on the support of about 60 deputies. The CUP, the driving force behind the revolution, managed to gain the upper hand against the Liberal Union. LU was liberal in outlook, bearing a strong British imprint, CUP come as the biggest party among a fragmented parliament by only 60 of the 275 seats. It was about how the government would deal with what these deputies called lacking of the law and order, the rise of assassinations and armed assaults and sectarian violence between various communities in the empire was costing both lives and resources. An Ottoman coffeehouse in Istanbul. 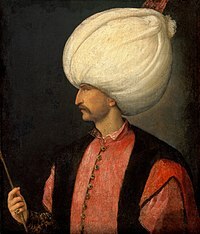 Mehmed IV (r. 1648–1687), the longest reigning sultan of the seventeenth century. 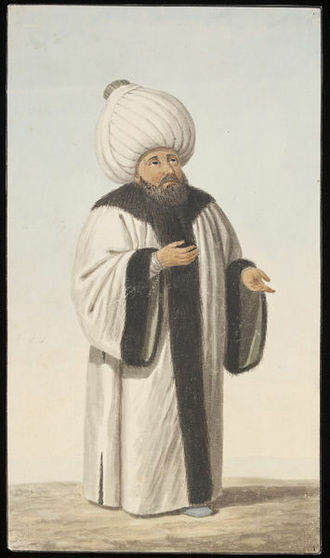 A depiction of a Şeyhülislâm, the chief Islamic religious official in the empire. The Blue Mosque in Istanbul, constructed in the reign of Ahmed I (1603–1617). 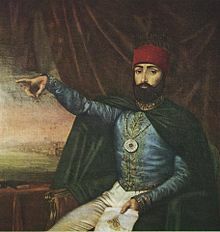 Prominent statesman Mizancı Murad Bey was renowned for his work on reviving the concept of Ottomanism during the Second Constitutional Era. The Battle of Vienna, 12 September 1683.